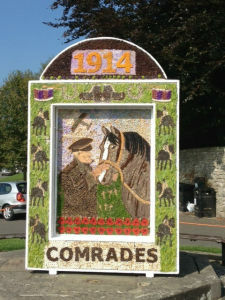 The art of well dressing in the villages of Derbyshire, and some adjacent parts of Staffordshire, goes back into the mists of time. Wells and springs are decorated with flowers and petals in intricate designs as a thanksgiving for the continued gift of water. 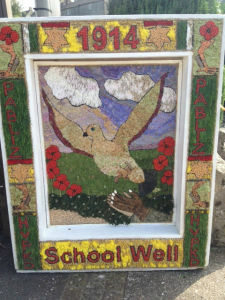 The well dressing calendar runs from May to September – for up to date information try the following link: www.welldressing.com . Tissington May 29th- June 6th.